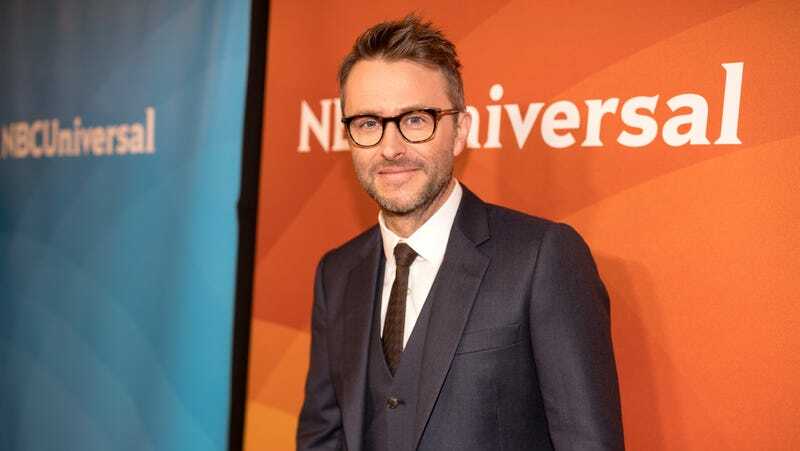 Variety reports tonight that mainstream TV’s re-acceptance of Chris Hardwick is apparently continuing apiece, with NBC announcing that the former Nerdist podcaster will soon be appearing as a guest judge on America’s Got Talent—Hardwick’s first TV spot since his ex-girlfriend, model and actress Chloe Dykstra, wrote a Medium article last month in which she described an abusive relationship with a man that most people assumed to be Hardwick himself. In the wake of Dykstra’s essay, Hardwick issued a series of denials; meanwhile, AMC, which plays host to his chat show Talking With Chris Hardwick and his Walking Dead aftershow, Talking Dead, made several moves to distance itself from him while it underwent an investigation of Dykstra’s allegations. That “comprehensive assessment” concluded last week, with AMC announcing that Hardwick would be returning to host Talking Dead. That was apparently good enough for NBC, which also plays host to Hardwick’s Plinko-esque game show The Wall. While the network hasn’t commented on Dykstra’s essay—or about whether it conducted its own investigation into its producing partner’s activities, or just waited to see what AMC would say—it’s hard not to read the guest-casting of Hardwick on AGT as a vote of confidence, in his viability as an audience draw if nothing else.